An excellent blend of three champagne grape varieties: Pinot Noir, Pinot Meunier and Chardonnay). To obtain a consistency of taste, 30 to 35% of reserve wines are used to complete the blending process. As it age, this Champagne becomes round and neat on the nose, fruity, pure and fleshy on the palate, with a beautiful balance as well as a light golden colour and sparkling bubbles. 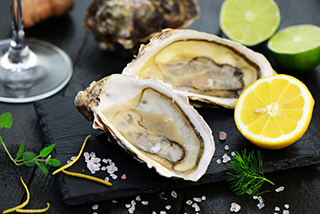 Brut Extra Sélection goes perfectly with seafood dishes: oysters, fish, shellfish, urchin, and caviar. It is ideal for your festive evenings and for aperitif. Available format: half bottles, bottles, magnums, jeroboams and methusalems.